Will the KSM project suffer the same fate as Pebble? 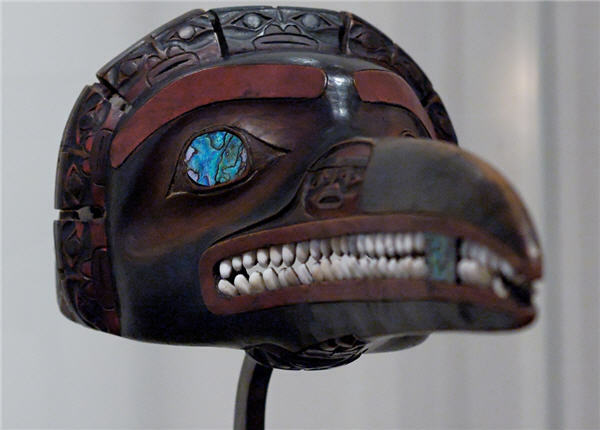 Tsimshian mask displayed in the Louvre. Image from Wikimedia. A Canadian junior miner planning to build a massive open pit gold, copper, silver and molybdenum mine in northern British Columbia may have to deal with the similar amount and type of hurdles faced by the controversy-ridden Pebble Mine. Toronto-based Seabridge Gold (TSX:SEA) (NYSE:SA) would set its flagship KSM (Kerr-Sulphurets-Mitchell) mine in the headwaters of the Unuk and Nass Rivers, just 30 km from the Alaska border. According to The Cordova Times, the Unuk River, which begins in Canada and flows into Alaska’s Misty Fjords National Monument, is a key habitat for salmon and eulachon. The Mass River is, in turn, B.C.’s third largest salmon river and produces fish harvested on both sides of the border. And while the Canadian government recently released an environmental assessment concluding the mine would safeguard Alaska’s fisheries and humans, it also notes that US residents, including indigenous groups, have raised concerns over the project’s potential trans boundary impacts on fish, recreational and commercial fisheries, as well as in human health. "While the proposal has basically sailed through B.C. 's permitting process, the opening of a final comment period provides a last opportunity for Alaskans to put the brakes on this risky project that rivals the proposed Pebble project in size and like Pebble is also proposed in sensitive salmon habitat," Brian Lynch, executive director of the Petersburg Vessel Owners Association, a trade group representing a large number of the Southeast Alaska commercial fishing fleet, told The Cordova Times. Seabridge Gold says the project is well supported and the company has engaged with First Nation governments, Gitanyow, Gitxsan (including Wilp Skii km Lax Ha) and Tahltan First Nations and Nisga’a Lisims Government. The company says that over its 52-year mine life, KSM will generate 1,800 direct and 4,770 indirect jobs across Canada during the five-year construction period and 1,040 direct jobs annually while in production. During construction Seabridge will spend $3.5 billion in British Columbia and $6 billion in Canada. Over the life of the mine’s operations, more than $400 million in GDP will be produced for British Columbia and more than $42 billion for Canada. The Canadian Environmental Assessment Agency is accepting comments on the proposed mine until August 20. Last week Seabridge closed its previously announced $13.8 million bought deal financing, consisting of 1.15 million flow-through common shares at a price of $12.00 per flow-through common share. The Kerr-Sulphurets-Mitchell (KSM) is located 65 km NW of Stewart. Image from Mining Intelligence.